Voxel House is launching its line of buildings and ruins from the Medieval/fantasy times for any wargame system. Our buildings are made for 1/64 (28mm) scale and can also be used on the 15mm or 10mm scale. 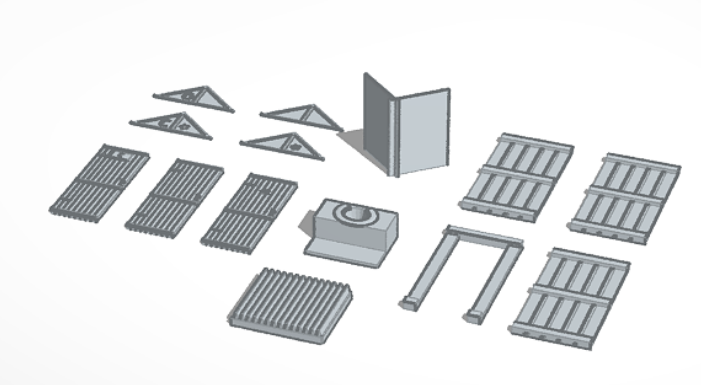 All of our buildings come in parts, enabling assembly as a one-piece 3D kit or print. Outhouse kit is a made for your hero when nature calls!!! You can build a lot of different outhouses! Ideal for your wargame table! Get to know our products! For scale 15mm - print 80% original size. For scale 10mm - print 70% original size.